DeKalb County was among the first to enroll troops for Confederate service. The first volunteers from Decatur were James L. George, Hardy Randall, L. J. Winn and Beattie Wilson, who went with the Atlanta Greys during the last part of May, 1861. 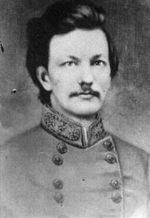 The first company was that of Captain John W. Fowler, called the DeKalb Light Infantry which was mustered into service in Atlanta as part of the 7th Georgia Volunteers. This company left Atlanta for Virginia on the 1st of June, 1861. Those going from DeKalb county in this company were: First Lieutenant, John J. Powell; Second Lieutenant, John M. Hawkins; Third Lieutenant, James L. Wilson; First Sergeant, M. L. Brown; Second Sergeant, D. C. Morgan; Third Sergeant, D. E. Jackson; Fourth Sergeant, John W. Fowler, jr.; Corporals: H. H. Norman, R. F. Davis, C. W. L. Powell; Privates: W. W. Bradbury (afterwards captain), E. M. Chamberlain, W. W. Morgan, W. L. Herron, P. H. Pate, C. E. McCulloch, James W. McCulloch, L. C. Powell, H. G. Woodall, J. S. Woodall, A. W. Mashburn, V. A. Wilson, W. J. Mason, J. V. Austin, W. M. Austin, John Eads, E. A. Davis, Dr. A. S. Mason, John W. Norman, E. L. Morton, Henry Gentry,[Pg 23] W. M. Cochran, J. B. Cochran, James Hunter (promoted captain), W. W. Brimm, William Carroll, C. W. McAllister, J. O. McAllister, and many others from the county, making it a full company. The second company from DeKalb was the Stephens Rifles, captain, L. J. Glenn which became part of Cobbs Legion during August of 1861. Dr. Liddell, Frank Herron, Norman Adams, John McCulloch, John J. McKoy, and some others, went from Decatur in this company. 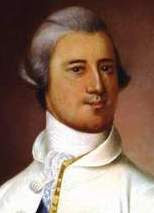 The third company was the Murphey Guards, captain, John Y. Flowers. These soldiers came from the upper part of the county, near Doraville and was named in memory of Hon. Charles Murphey, of DeKalb county, a prominent lawyer and member of Congress who was recently deceased. The company was uniformed by the people of the county, a large share being contributed by Mr. and Mrs. Milton A. Candler, and Mr. and Mrs. Ezekiel Mason. Mrs. Candler, whose maiden name was Eliza Murphey, the only child of Charles Murphey, gave the banner, upon which was inscribed, "The God of Jacob is with us." The Fourth Company was The Bartow Avengers, Captain William Wright, from the lower part of the county around South River. 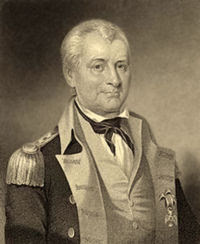 The Fifth Company, Captain Rankin, was from Stone Mountain. During September of 1861, these three last mentioned companies went into the 38th Georgia Regiment and belonged with the Virginia Army. The Sixth Company, Captain E. L. Morton, entered service the last of August, 1861, in the 36th Georgia Regiment, and was with the Western Army under Johnston. The Seventh Company, the Fowler Guards, Captain Clay, went into the 42nd Georgia Regiment in the early part of 1862, and was also in the Western Army. There were several companies that were made up to go to the camp of instruction near Decatur. 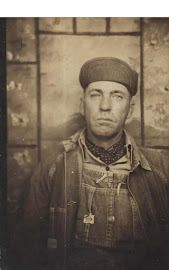 Moses L. Brown was Captain of one, and L. D. Belisle of another. Besides the companies already named, all of which went into the infantry, there were many soldiers from DeKalb that went into the Cavalry and Artillery service of the regular army. In the year 1863, when Georgia was threatened by Rosecrans coming into the State on its northern border, special troops were raised for its defense under the commands of Major General Howell Cobb and General Henry R. Jackson. There was a Company A of Cavalry troops included in the 10th Georgia Regiment State Guards, Jacksons Brigade under Colonels John J. Glenn and Lieutenant-Colonel J. N. Glenn. Milton A. Candler had command. These troops served through 1863 and 1864. In April, 1863, Paul P. Winn, now a Presbyterian minister, then a mere youth, went into the army in the 45th Georgia Regiment, commanded by Col. Thomas J. Simmons. Other Decatur boys went into the service from other sections. 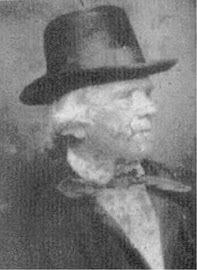 The eighteen year old John C. Kirkpatrick entered service from Augusta with the Oglethorpe Infantry along with his cousin, William Dabney, later a Presbyterian minister in Virginia, and his friend, Frank Stone. This was in 1862, and John remained in the service until the close of the war, having been in severe battles under Cleburnes Division, including Jonesboro. In this engagement were other Decatur boys in other commands. 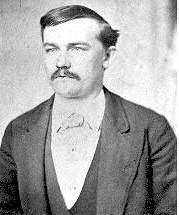 Mr. John B. Swanton, but seventeen years old, was in that battle, and says that by his side stood, when mortally wounded, Franklin Williams, the brother of Mr. Hiram J. Williams. Says Mr. Swanton: "He was so near me I could have touched him with my hand." Three sons of Mrs. Martha Morgan, and cousins of DeWitt Morgan, were all in the service, Henry, Daniel, and Joseph Morgan. 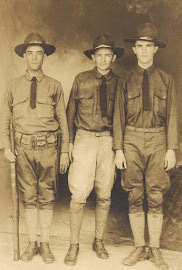 Jesse Chewning and Samuel Mann were in the 64th Georgia. 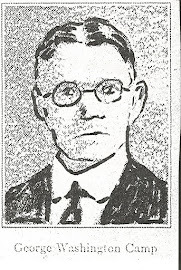 Josiah J. Willard, the only son of Mr. Levi Willard, while a sprightly, active youth, was near-sighted. He had a position in the commissary department at Camp Randolph, near Decatur, and went with it to Macon, July 11th, 1864, and remained there until the place surrendered after the fall of Richmond. He, also, is mentioned in other sketches. There were also several companies of old men and boys who went into the State service when the last call for troops was made by the Confederate government. Source: Life in Dixie During the War by Mary A. H. Gay (1892).